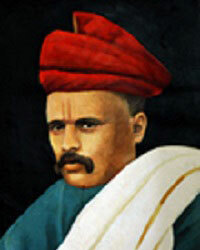 Deccan Education Society is graced by the vision and glory of the founding fathers : Father of Indian Unrest and an astute lawyer Lokmanya Shri. 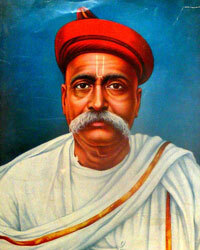 Bal Gangadhar Tilak, the great social secular reformer, Shri. 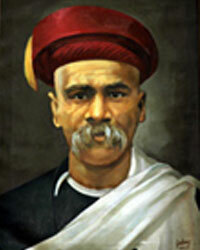 Gopal Ganesh Agarkar, the doyen of marathi literature, Shri. 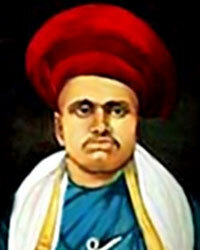 Vishnushastri Chiplunkar, and a well-known social worker, Shri. 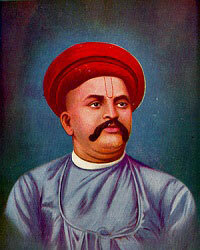 Mahadev Ballal Namjoshi & Shri. 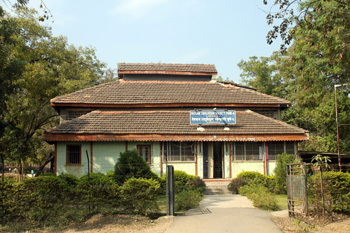 Vamanrao Apte. These young visionaries with nerves of steel and unwavering commitment towards the Indian masses, gripped in the clutches of British rule, came together to give the people of India an educational institute with the dream of a better future. Their awareness of the pivotal role played by education in preparing the youth to become responsible and contributory citizens, and their firm belief in ‘education is the lifeline of any developed country’ led them to the inception of Deccan Education Society. The first step towards igniting the flame of knowledge and awakening the populace, was laying the foundation of the revolution called Deccan Education Society on the 24th October, 1884, which was also the auspicious day of Vijaya Dashami or “Dashehra”. On the 13th August, 1885, the Society was registered under The Societies Registration Act, 1860. Within less than three months, the Fergusson College was started on the 2nd of January,1885. Deccan Education Society always remained alert to the changing needs of the larger social set up for which and within which it functioned. To fulfill the set objectives, DES established various educational institutions in Western Maharashtra. These educational institutions include not only Schools and Colleges, but also technical institutes and autonomous institutes in the field of Management, Law, Agricultural Education and Vocational Training. The DES management believes in ‘Union is Strength’, so guided and aided by educationists, visionaries, philanthropists and ex-students, the Society is endeavoring to instill civic and patriotic values to the core besides providing quality education to its students.